A hiker traverses the ridge from Mt. Oxford to Mt. 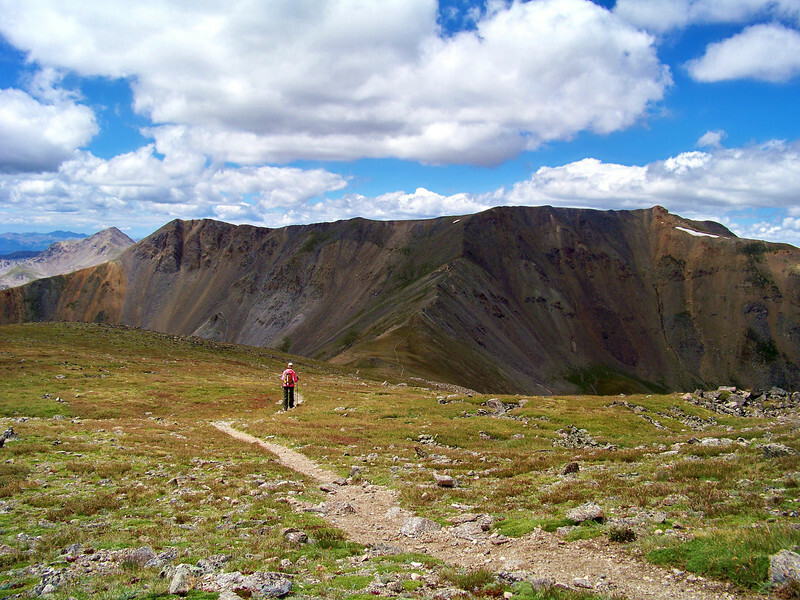 Belford, Colorado Sawatch Range.